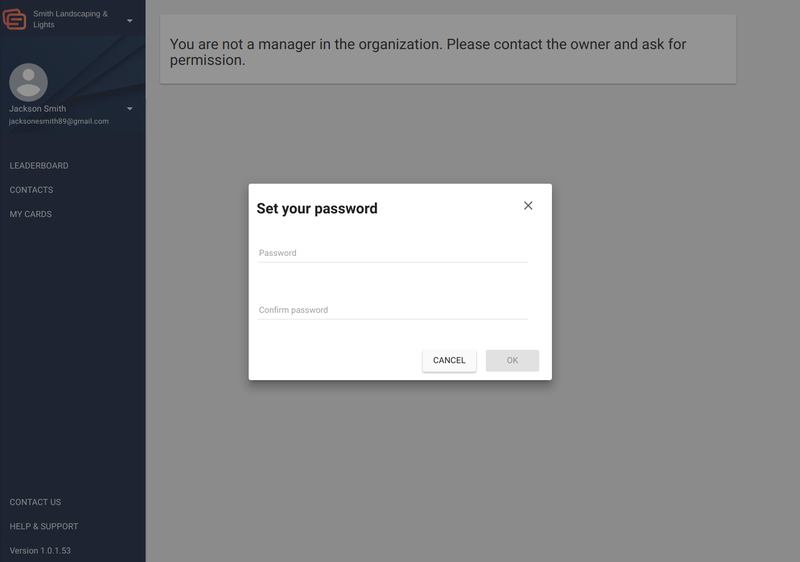 If you are logging into a pre-existing team, please skip to the Joining a team section. 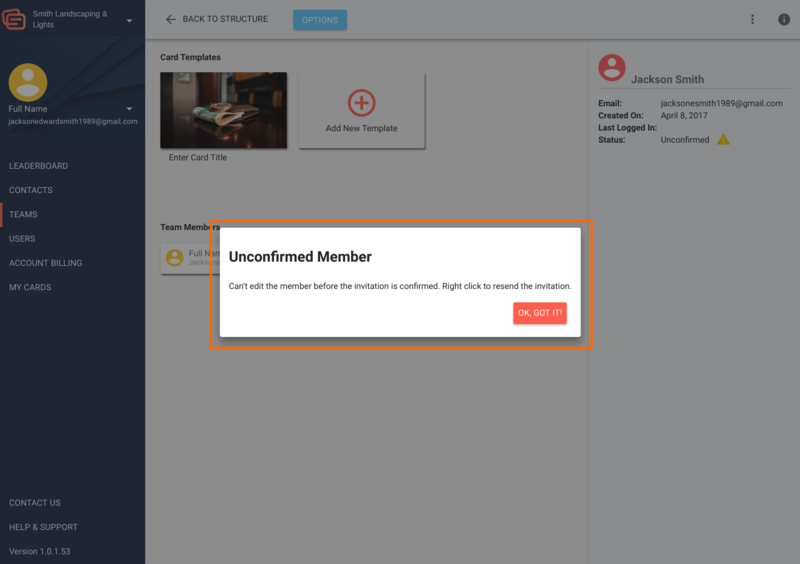 As a team owner, your setup will include creating a team account, adding team members, and creating card templates. 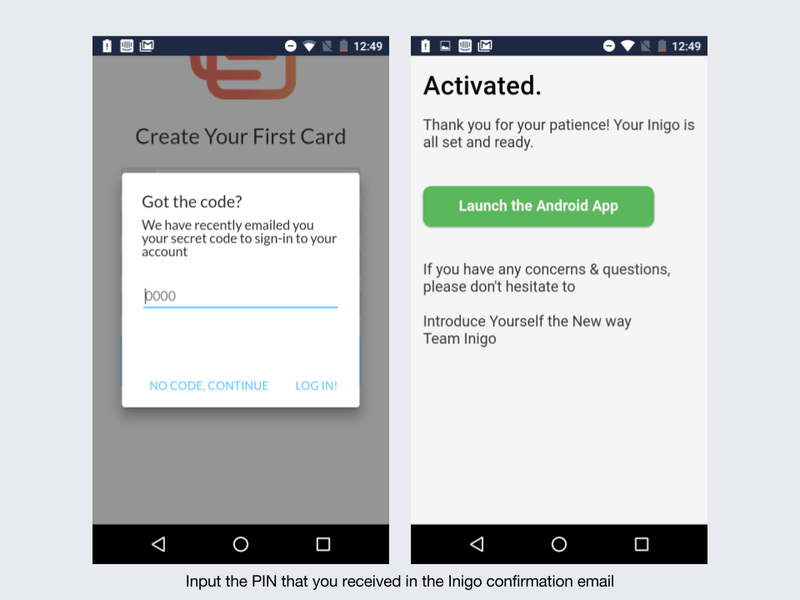 To get started with Inigo Team, please visit https://team.inigoapp.com. 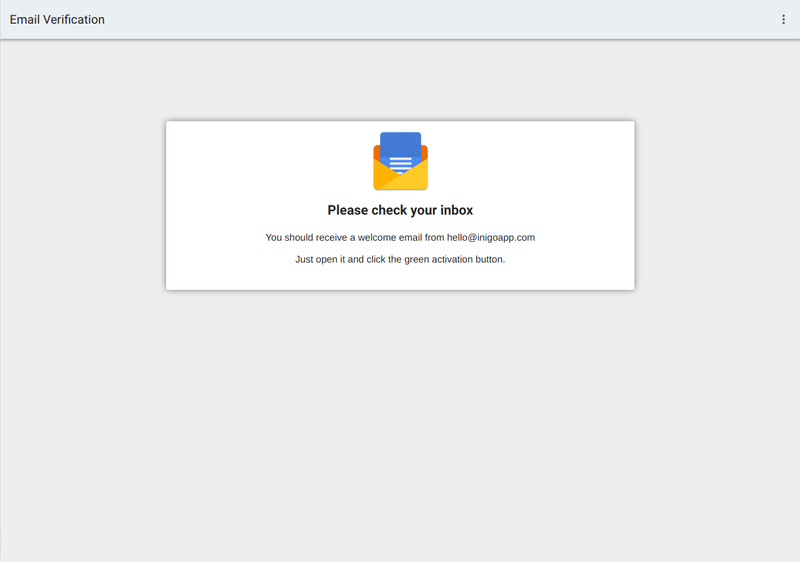 Enter your email address, and click "Create a New Team." 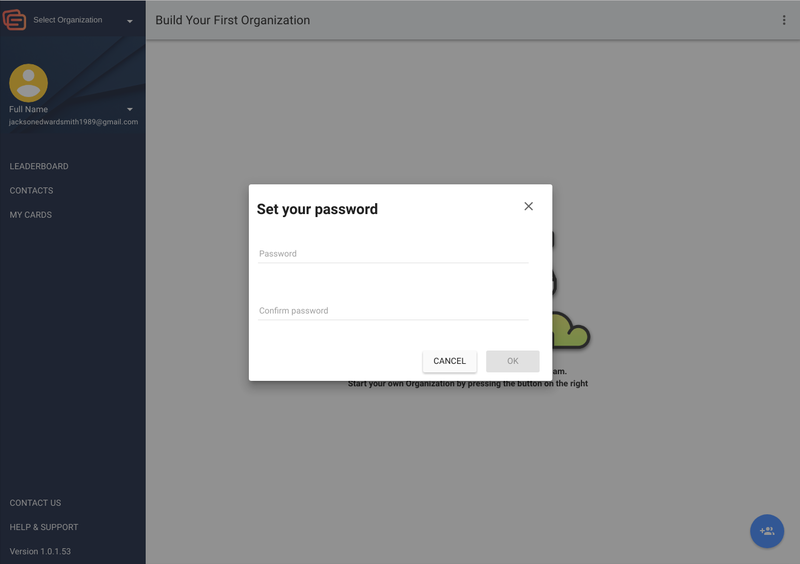 Team accounts are managed from a desktop. The next page will direct you to check your email for an activation email from Inigo. 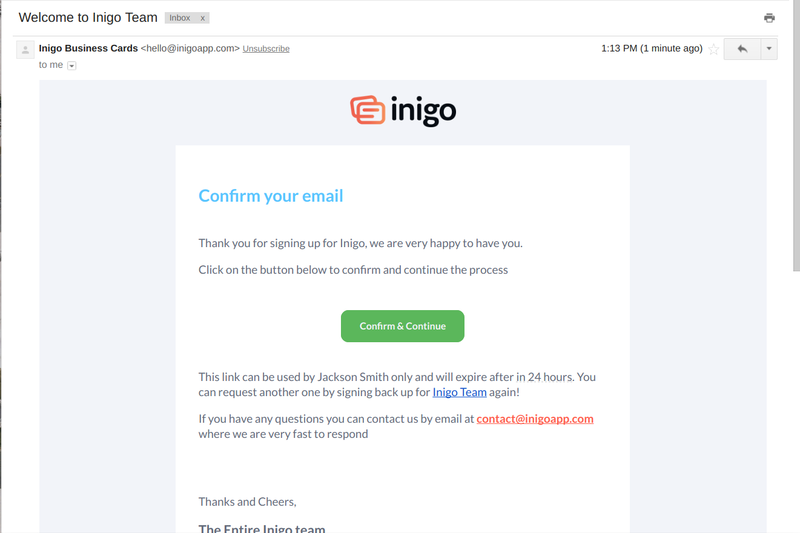 This email will contain an activation button that you must click to access your Inigo Team account. After you click this button and are redirected to the website, you will be prompted to set a password. Please do so, and make sure that it contains one uppercase letter, one symbol, and a number. Now you will be able to access your account home page. 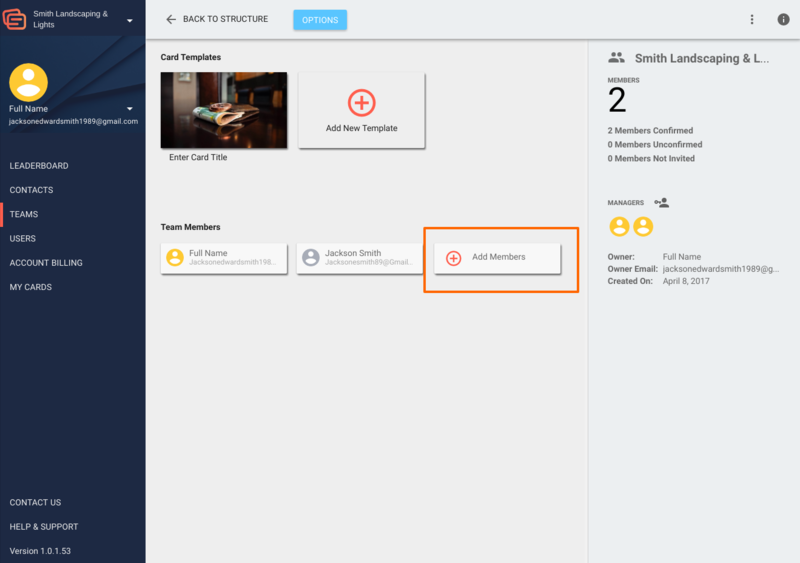 From here, you can invite team members, create templates, and organize your team. To add new team members, open the "teams" page and doubleclick on the team that you would like to add members to. You can also hit the "view" button on the right side of the screen. 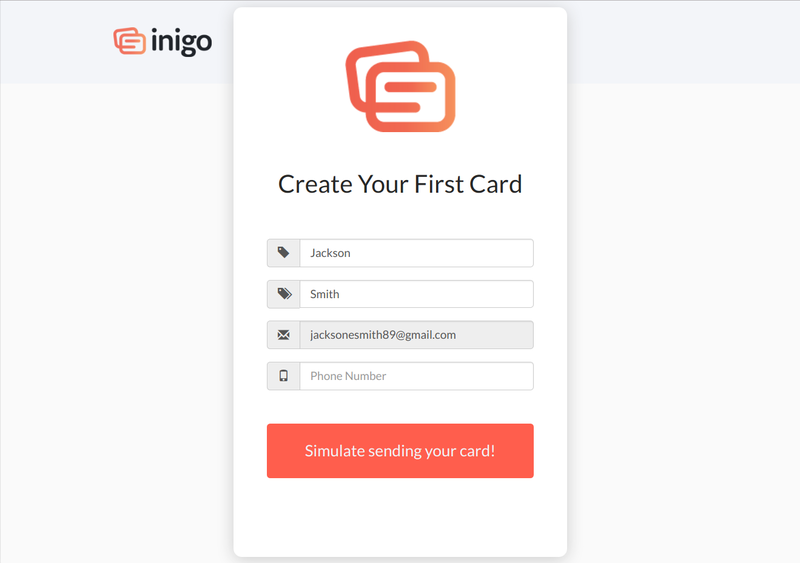 If you are joining a pre-existing team, please follow these steps in order to set up your new Inigo Team account. You will receive an email from a team owner inviting you to join their team. Please look for an email from hello@inigoapp.com. This email will contain an activation button that you must click in order to access your team account. Once you open this link you will be prompted to input your phone number and email. Click "Simulate sending your card!" 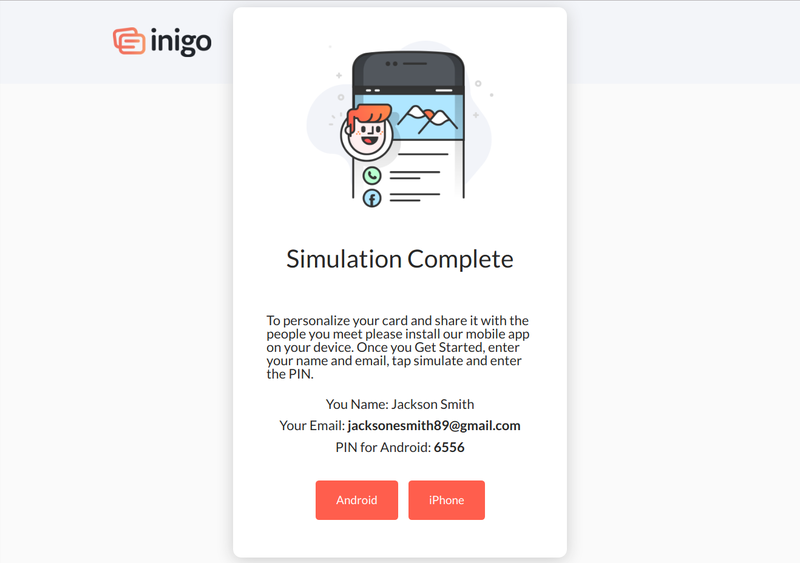 to view a simulation of how the Inigo App works. After the simulation is over you will reach a page with your PIN number and two buttons to download the application on Android or iPhone. Please select the appropriate link to download the app. Please note that the PIN login option is for Android only. iPhone users may disregard the PIN. After downloading the app, you will reach a login page. 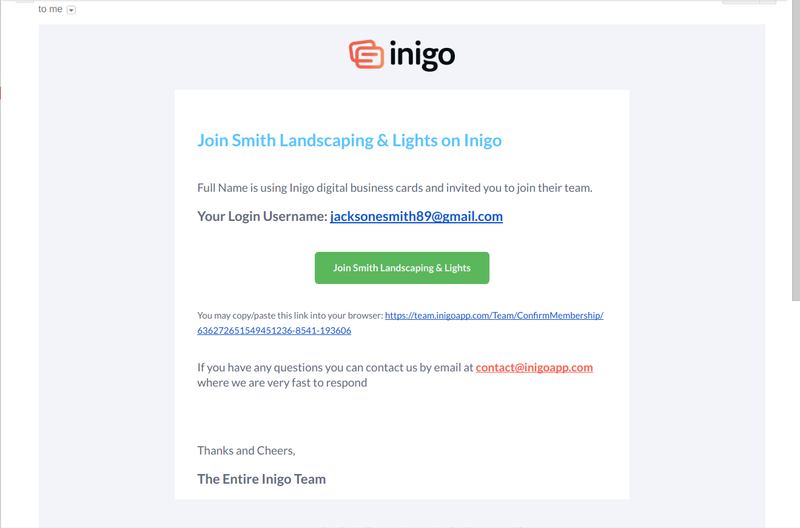 Input your email address and a box will appear noting that you have recently been added to an Inigo Team. Input your PIN on this page to launch the app. Once you login to the app you will see your personal cards, contacts, and history. 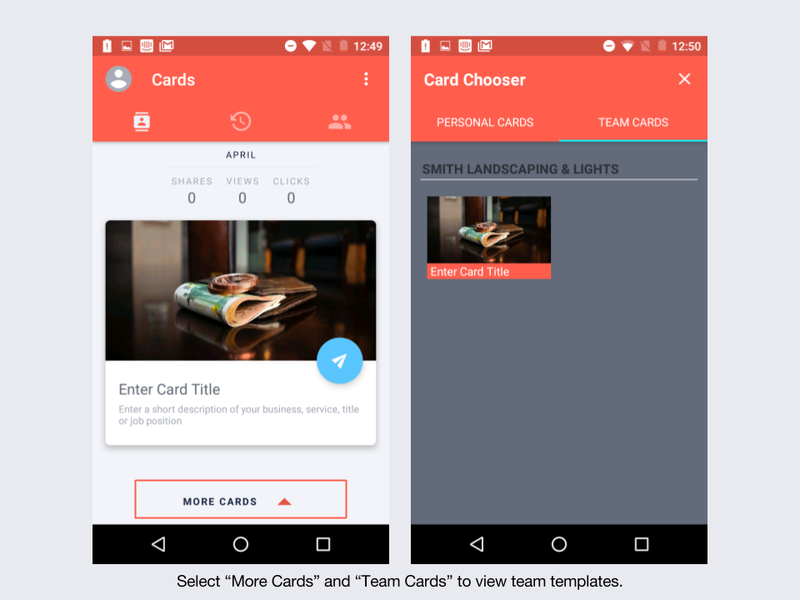 To view Team cards, please select "More Cards" and "Team Cards." 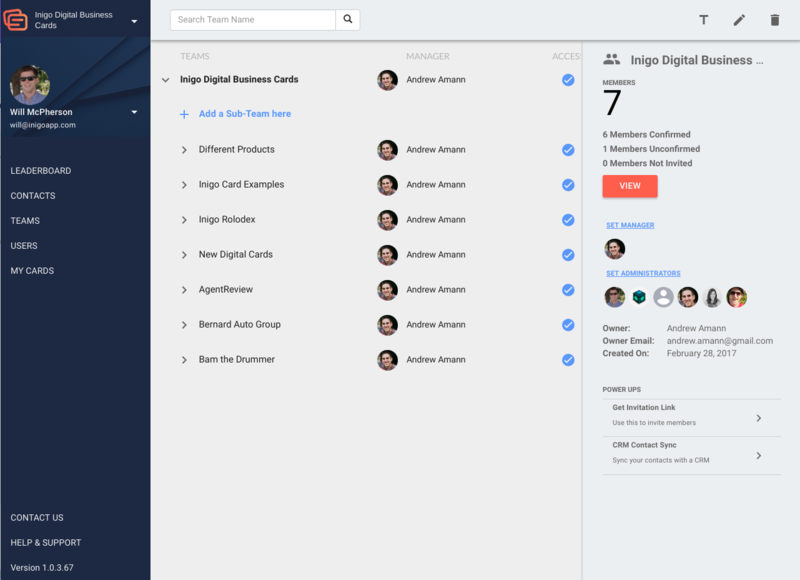 Here you will see card templates from your team that you may edit to include your personal details. 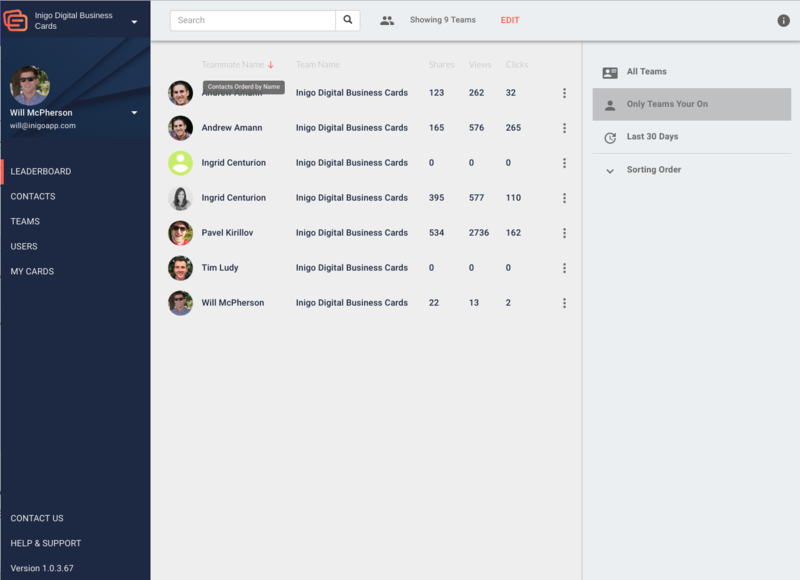 To use the Inigo Team desktop application as a non-team owner, visit team.inigoapp.com. You will be prompted to enter an email address. Please use the email address that you received your confirmation email on as this is the address associated with your account. You will be asked to check your email for a verification email. 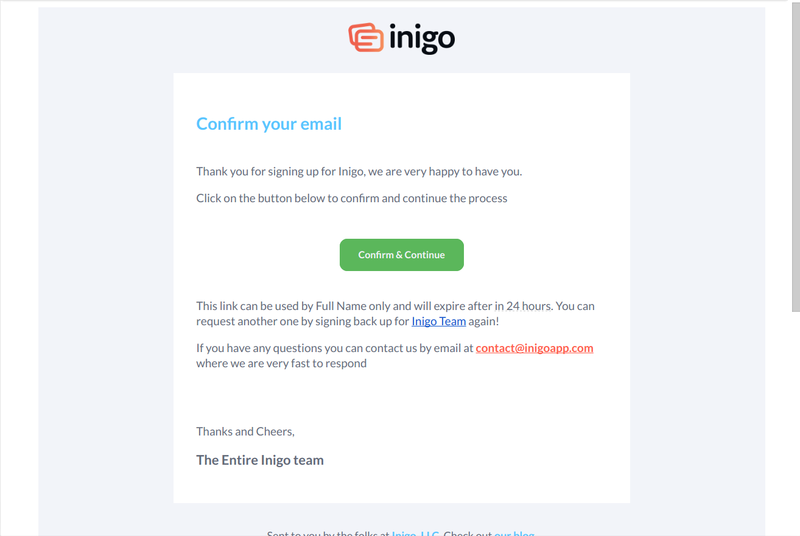 This email will allow you to access your Inigo Team account on the desktop. Currently, it is not possible to access the Inigo Team page on a mobile browser, but that is something that we are currently working on. 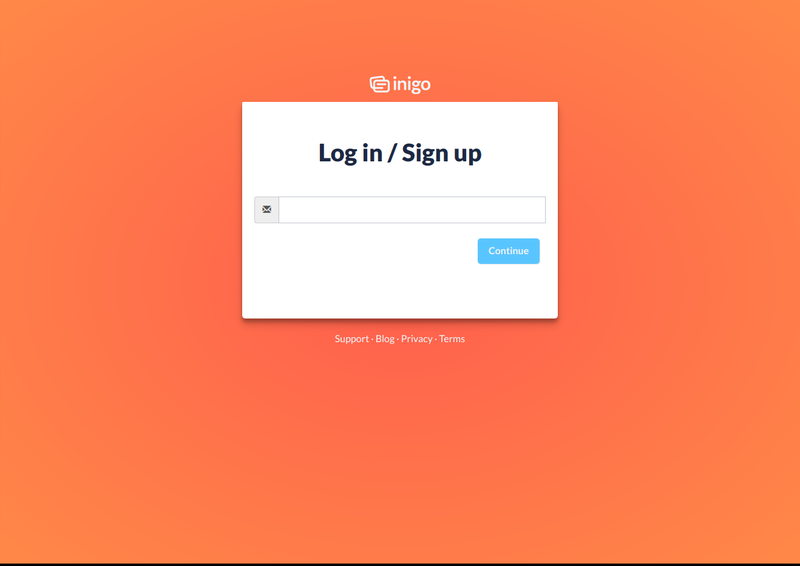 After clicking the confirmation button your Inigo Team account will open and you will be prompted to set a password. Remember that this password must include one uppercase letter and one number. TIP: Because you are not the account owner, certain pages will not be accessible. It is not likely that you will need access to these pages, but if you do, you may be authorized by the account owner. 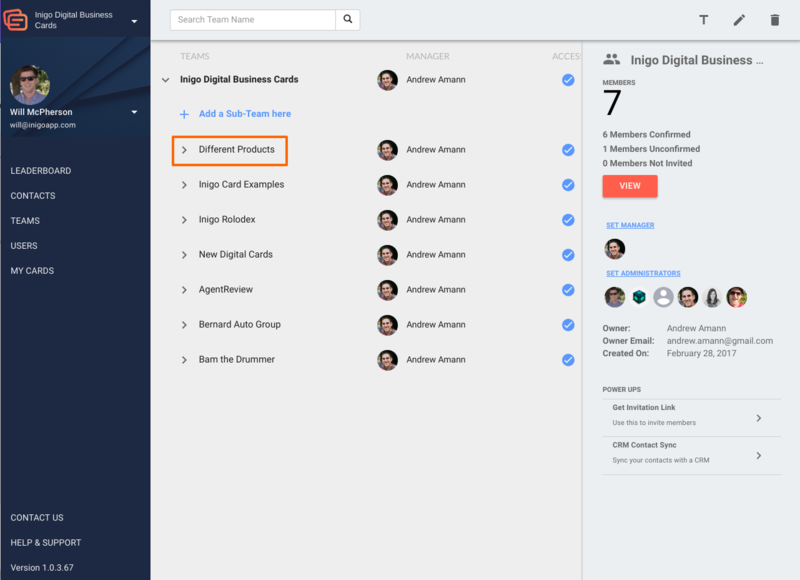 You will have access to the Leaderboard, which will show analytics from your team members on their business card usage. 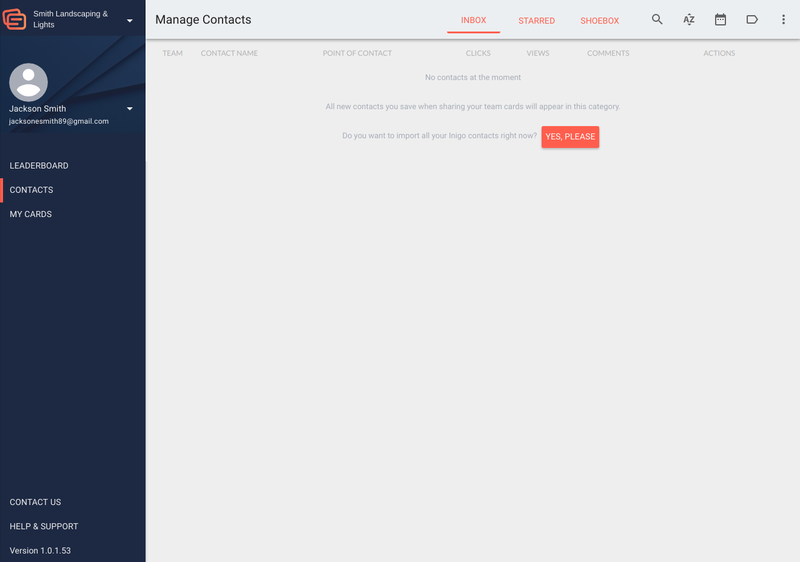 You may also access contacts, which will import your Inigo App contacts into Inigo Team to act as a CRM. Note that the first time you access this page it will ask for your permission to sync contacts with your Inigo App. You will also have access to the "My Cards" page which will allow you to use the desktop editor. 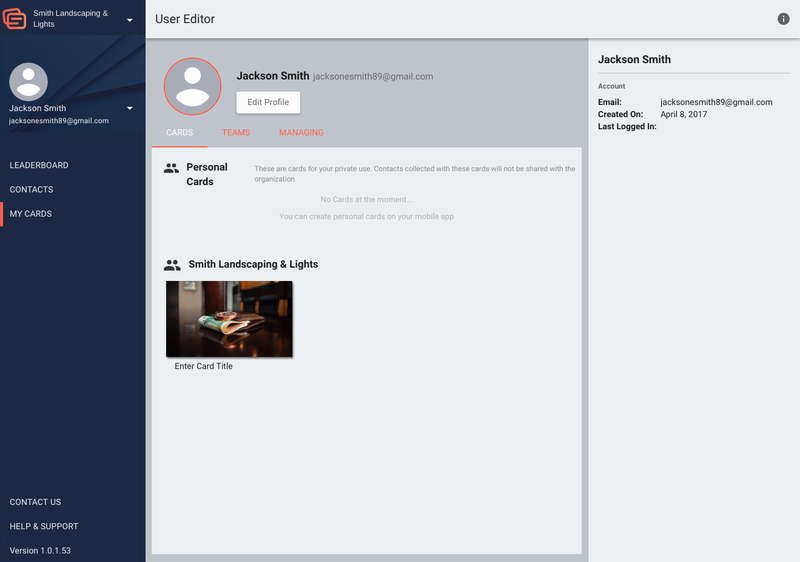 With the desktop editor, you may edit cards on your computer. 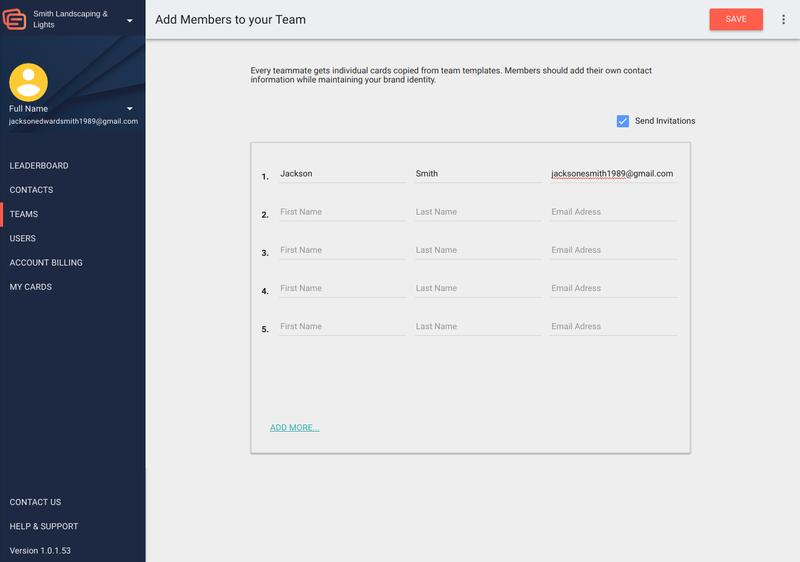 If you wish to resend an invitation to join a team, please open the "Add members and templates" page within that team. Right click on the user's name and email address under the "members" category. You can note that their account is "unconfirmed." Select "resend invitation."